The first half of the 2015 Major League Baseball season ended yesterday. At Fenway Park, the All-Star break arrived with the last out of an extraordinarily untidy 8-6 Yankees win over the home side. This gave the Yankees two games out of three in the weekend’s series, and they left Boston with a 6.5-game lead over the last-place Red Sox. Of course, this means nobody is yet out of the race to be the top orange peel in the landfill that is the American League’s Eastern Division. That is the simple part. Pay attention now, because this is where it gets confusing. New York’s starting pitcher on Sunday was Nathan Eovaldi; Boston’s was Wade Miley. Eovaldi was followed to the mound by Adam Warren, Justin Wilson, Dellin Betances, and Andrew Miller. Miley, who failed to hold a nice 3-2 lead, was followed by Tommy Layne, Alexi Ogando, and Craig Breslow. The New York shortstop was Didi Gregorius and the Boston catcher was Ryan Hanigan. A Korean-born Yankee named Rob Refsnyder got his first major league hit and his first major league home run. Boston’s Brock Holt robbed Alex Rodriguez of a base hit and turned it into a double play. Holt is on his way to the All-Star Game in Cincinnati. Rodriguez gets four days off. I appreciate that times change. I appreciate that generations succeed each other, one after another. But, holy hell, I feel like I fell asleep in 2008 and woke up on Saturday morning. This was a series from some parallel universe. Not having sprung full-blown from the fertile pixels of Baseball-Reference, I have to admit I haven’t heard of most of these guys. My KAR — Knowledge Above Replacement — for the majority of both rosters is probably 0.00. This was a Red Sox–Yankees weekend at Fenway, and all I could think of were those annual summer shed-shows featuring the Stars of the ’60s, where you get (maybe) one of the original Grass Roots, or the drummer from the Box Tops, and the other guys in the band are people who were playing in the Radisson lounge the night before. The future’s supposed to descend by degrees, not all at once, like a thunderstorm. It’s been a very long time since I had to consult my scorecard as often as I did over the past couple of days. On Saturday night, a very talented young Red Sox pitcher named Eduardo Rodriguez held the Yankees to two runs and five hits over six and a third innings. He didn’t blow New York away. He carved the strike zone with an assortment of down-dipping stuff. More to the point, he won a game Boston sorely needed to have. Not only did the Red Sox lose on Friday night, but Clay Buchholz, who had been in the middle of a glorious stretch of pitching, embarked on his now annual trip to the disabled list — this time with a strained elbow. Buchholz had been the key to a kind of Red Sox resurgence. Going into Sunday, they had won 10 of their past 14 games, and their roster — a curiously lumpy mixture of young players and imported veterans like Hanley Ramirez and Pablo Sandoval — seemed finally to be settling down. A lot of that settling had to do with the younger players. Rodriguez is 22. So are starting center fielder Mookie Betts and starting shortstop Xander Bogaerts, both of whom knocked in a run on Saturday, behind Rodriguez, who was admirably cool in a big moment. 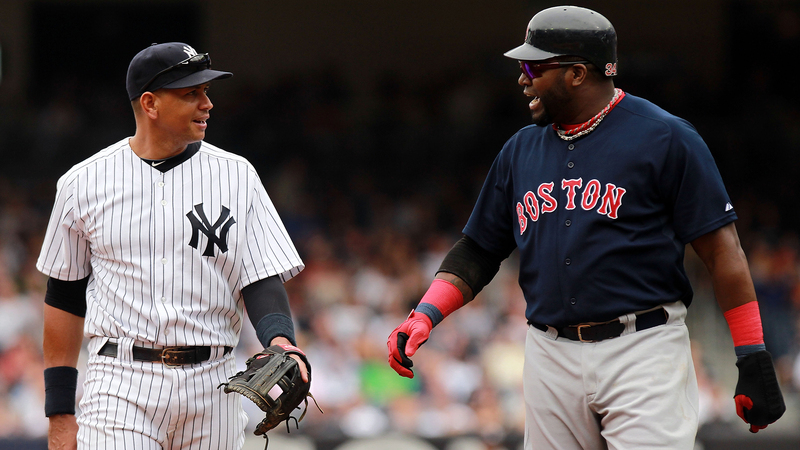 Come Sunday, however, the fairly anonymous Red Sox couldn’t stay with the almost completely anonymous Yankees. In this very odd context, Alex Rodriguez seems like the stabilizing force, the gravitational field that keeps everything familiar. He is the connection all of these young strangers have with the history of the game, and if that doesn’t seem odd to you, then you’ve been paying less attention to them than I have. Once, he was young the way Betts and Bogaerts and Refsnyder and Gregorius are young, but he never was unknown. Baseball saw Alex Rodriguez coming from almost a decade off. The first years — the ones in Seattle, where he arrived at 18 and shared the stage with Ken Griffey Jr. and Randy Johnson — were golden and wonderful. Then there was the fat contract with Texas, and the preposterous contract in New York. You could see the shine get scoured off him. In 2004, when Boston came back from three games down to beat the Yankees in the ALCS, Rodriguez famously slapped the ball out of Bronson Arroyo’s hand when the Red Sox pitcher tried to tag him along the first-base line. (The big white glove Rodriguez was wearing made it look like Arroyo was being attacked by the Hamburger Helper mascot.) It is now an iconic play in the history of this rivalry, and it remains hilarious 11 years later, especially the sight of A-Rod — busted, standing at second base, his arms spread, pretending he can’t understand what all the fuss is about. If that were all — one comic moment in a career — not much might have changed. But when the drug frenzy over performance enhancers went into the red zone, and once Mark McGwire, Sammy Sosa, and Rafael Palmeiro were disposed of, Rodriguez became Patient Zero for the whole ridiculous moral panic. The pursuit of Rodriguez, and his involvement with the Biogenesis crooks down in Florida, devoured the entire game. Ultimately, baseball dropped a ludicrous 211-game penalty on him, probably because Rodriguez had become a PED-using player that nobody liked very much anymore, and because there are too many moralistic baby boomers writing about sports these days. (However, even I have to admit that having yourself painted as a centaur — twice! — is pretty goddamned strange.) Eventually, the suspension was reduced to the entire 2014 season, after which Rodriguez, his reputation now completely in tatters, put on the proper dumb show for the commissioner’s office, apologized to the fans, and was allowed to come back this season, during which he has resumed tearing up the record books. There is a sense of weariness to Rodriguez. He is 39 and looks it. He gets booed in practically every ballpark, especially Fenway, not only because of what he did, but also because of the symbol that baseball decided to make of him. Nevertheless, he’s hitting .278 with 18 home runs and 51 RBIs. His OPS is a gaudy .898. He hit first-inning home runs in each of the first two games this weekend, the 671st and 672nd of his career, putting him firmly in fourth place on the all-time list, comfortably ahead of Willie Mays, whose locker, we should note, allegedly once was the one-stop pharmacy if you were a teammate in need of a quick pick-me-up. On Sunday, his sixth-inning double, which gave New York the lead for good at 4-3, pushed him into the top 25 in career hits with 3,020. He moved into a tie with Palmeiro, and people are going to be commenting on the irony there until nobody notices what staggering numbers these truly are. He is one of the last links, he and David Ortiz, to the last great dynastic spasm of this rivalry. 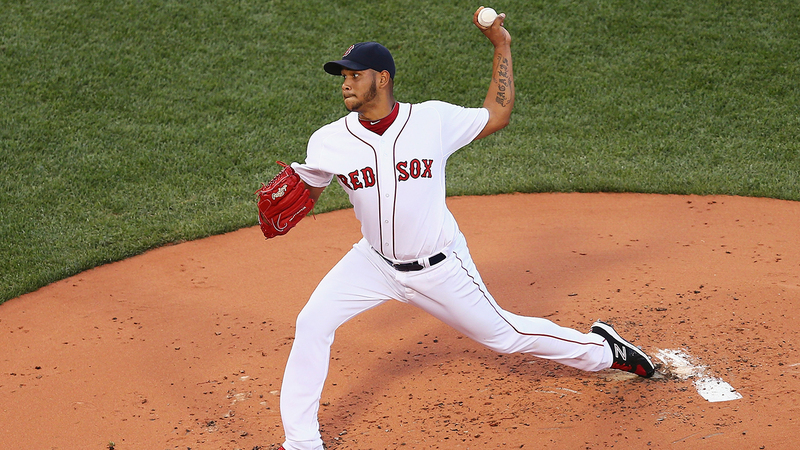 Rodriguez is almost four months older than Ortiz, who took Sunday off because of a respiratory infection. It is an odd thing about the baseball epoch just ended. Both were accused of the same thing. But only one was designated as a scapegoat, a sin-eater on behalf of his generation of players. The other one became a beloved figure in a very tough town. And now, that generation of players is passing, and another one is taking its place, the one that has produced Didi Gregorius and Rob Refsnyder, and Xander Bogaerts and Mookie Betts and another Rodriguez, this one named Eduardo, who may yet help save his team’s season. The moral panic mercifully fades away, at least for a while. Unless you’re Alex Rodriguez, and it follows you in all the days you have left in the sun.